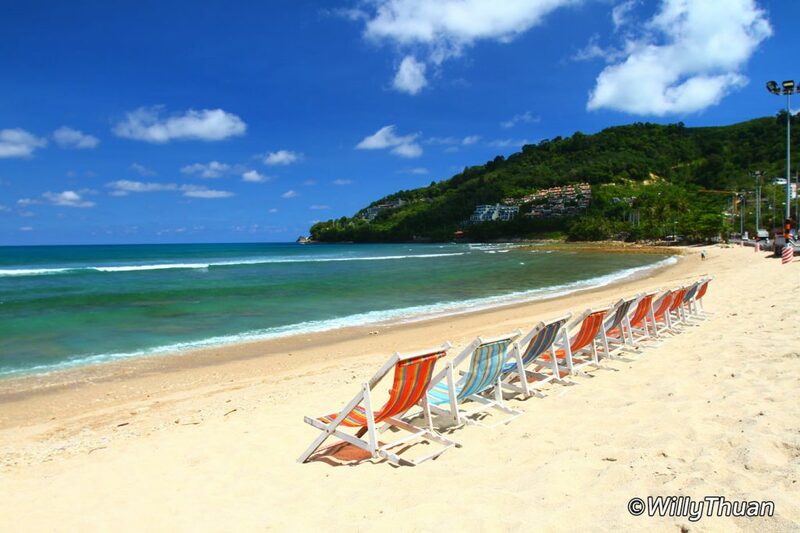 Kalim Beach is a modest bay located just next to the famous Patong Beach on the way to Kamala Beach. As the seafloor is mostly made of rocks and dead coral, Kalim is not a swimming beach, but in low season it is a popular spot for local surfers. However, waves are not very high so don’t go imagining some big action. It seems to be a good practice place. It’s not a popular place to hang either as the sand is quiet rough and coarse. People just come here to walk their dogs or eat at one of the many street food stalls coming at the end of the afternoon. The beach is not deserted though. The sand in not smooth and white enough for travelers to lie down on it but the ocean views attracted a lot of fancy restaurants and lounges. 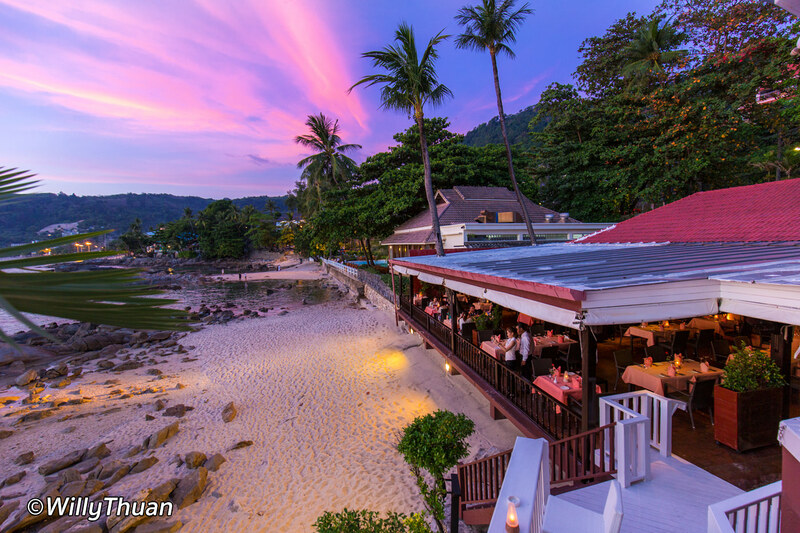 On one side you can find the beautiful white terrace of Joe’s Downstairs, Da Maurizio Italian Restaurant, the now classic Baan Rim Pa Thai restaurant and next to it, the new SeaSalt Lounge and Grill. On the other side of the bay are few more fancy venues: White Box with a terrace overlooking the sea, and Acqua, one of the best Italian restaurants in Phuket. Indochine restaurant and resort is also on the hill nearby. 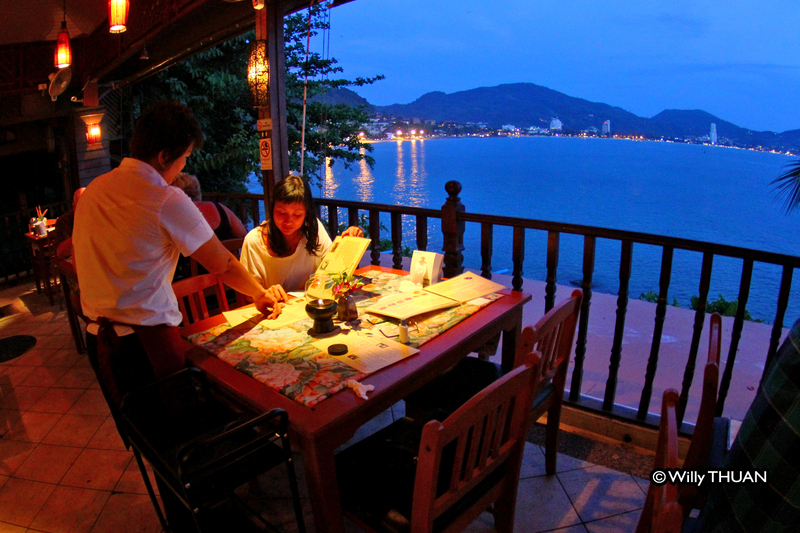 Not far are also a few good Thai restaurants: Pan Yaah Seafood and its beautiful setting and Kalim Rim Lay, a very local place with bamboo hut set just by the water. The local food sold is also a lot of fun. At the end of the afternoon a lot or carts are setup along the seashore selling all kinds of dishes. Some will look familiar and some totally strange. 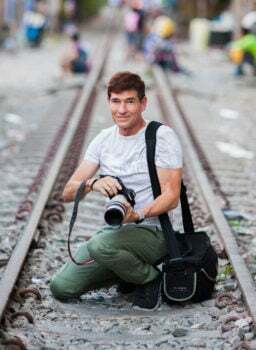 Try some, this is what traveling is all about! 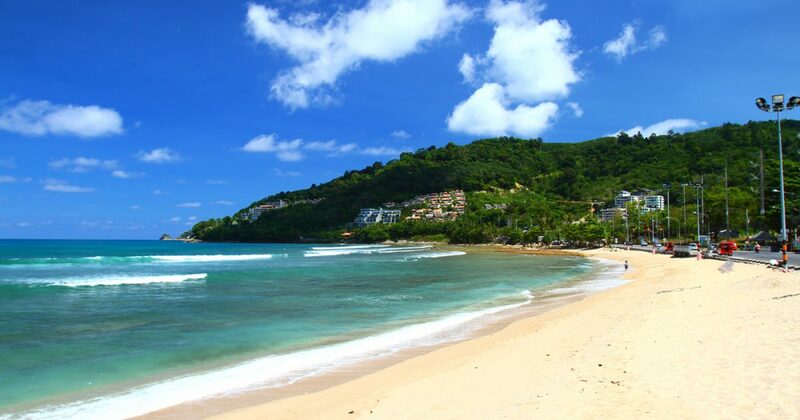 There are quite a few resorts and villas overlooking Kalim Bay. 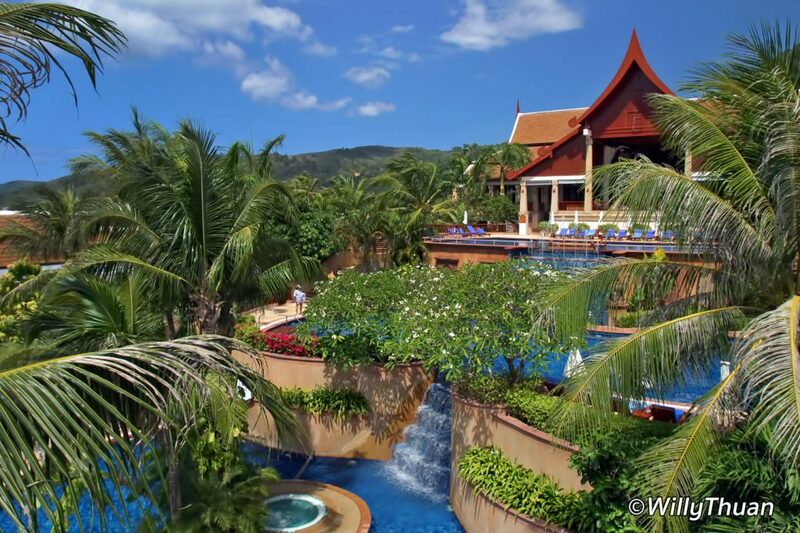 Best known are Novotel Phuket Resort, Diamond Cliff Resort and the Aquamarine. There are also a handful of smaller guesthouse and hotels. The only attraction in this area apart from surfing is Zorbing.